George received his Doctorate of Physical Therapy Degree from Franklin Pierce University in New Hampshire in 2011. Prior to receiving his Doctorate he attended New England College in New Hampshire and obtained a B.S in Health Science and played varsity hockey. George’s interests include hockey, golf and tennis. His clinical training has focused on orthopedic based manual therapy with a niche in manipulation techniques and has advanced training in dry needling. 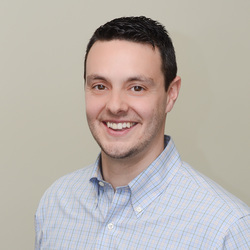 As owner of Rhode Island Physical Therapy and Sports Medicine George is dedicated to the highest quality of care for his clients. Amy graduated in 1997 with a Bachelor of Science degree and received her Physical Therapy Degree in 1998 from Quinnipiac College. 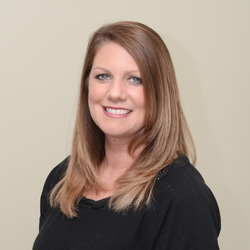 She has over 15 years of experience in Outpatient Physical Therapy. Her charismatic energy and love of her career has earned her a Young Careerist of the Year Award in 2007 from The Business and Professional Women of Rhode Island. She specializes in sports injuries and manual techniques to include joint mobilizations, Mulligan techniques, soft tissue mobility, cranio-sacral and muscle energy techniques. Amy has treated a wide variety of diagnoses from joint replacements, sprains / strains, gait and balance instabilities, fractures, reconstructive surgeries, work-related injuries, MVA related injuries, neurological disorders / post CVA, pediatric injuries and Vertigo. She takes pride in working and healing her community and is excited to continue this passion with providing the highest level of care as owner of Rhode Island Physical Therapy and Sports Medicine. ​Beth joined Rhode Island Physical Therapy upon opening in 2013, as our office manager and is a valued asset to our team. She has a strong background in medical billing and customer service. Along with managing the day to day operations of the front office, she is also an advocate on behalf of each patient’s best interest. Beth adds to our fun and energetic atmosphere with her warm smile and friendly personality. As you walk through the doors at RIPTSM, Megan's warm smile and friendly face will be sure to greet you. Megan is responsible for checking patients in and out, collecting co-pays, scheduling patients and many more administrative responsibilities. In her spare time she likes to be in her kayak, hiking up mountains, and spending time with her daughter Milena. When she is not outside exploring she is usually enjoying listening to music while painting. Megan joined our team in February 2018 and has been a great asset to the team. 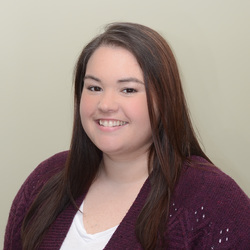 Alex is a Physical Therapy Aide while also enrolled at CCRI for Physical Therapy Assistant. She is expected to graduate in early 2020. In her free time she enjoys working out at the gym, cooking and going to rock concerts. Alex also enjoys spending time with her family, friends, boyfriend and most importantly her son Shane.